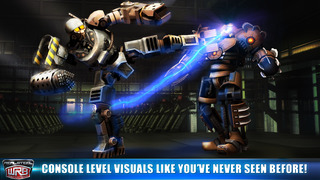 From the makers of the smash hit Real Steel with over 15 Millions Downloads comes the next version with More Robots, More Action and More Fun! — A total of 32 mean machines, including fan favorite superstars such as Zeus, Atom and Twin Cities. Now eight new contenders have entered the ring; brawl as Touchdown, HollowJack, Blockbuster, Biowar and more! — 11 different arenas that barely contain these hulking mechanical brutes. — Championship, Time Attack, Daily Exhibition and Free Sparring; four diverse modes that will test your mettle AND your metal. — Bigger, better and now social! 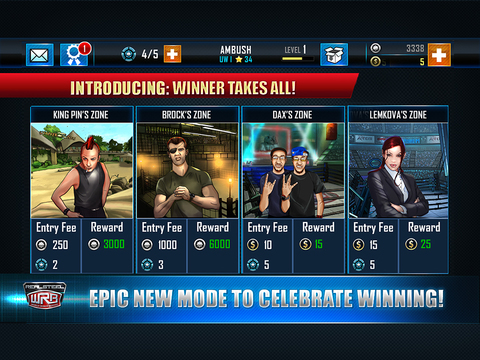 Take on friends in live local Wi-Fi & Bluetooth multiplayer and fight your way up the leaderboards. 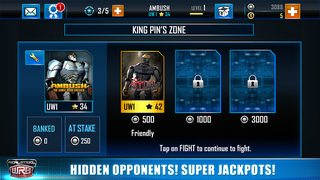 — Load up with upgrades and get a fighting edge with power-ups! — The movie springs to life with new special moves and cinematic Rip-Offs. 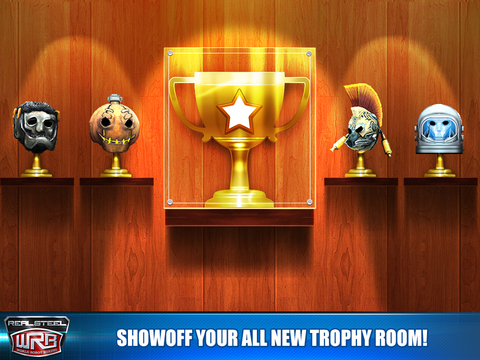 — Real-time action that tests both strategy and reflexes… do you have what it takes? 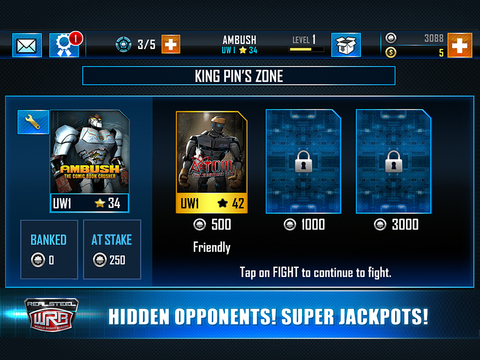 •Fight In The 4 Rewarding Zones: King Pin, Brock, Dax & Lemkova. •Earn Higher Rewards as you progress through Fights.